Get lost in a huge dungeon, fight against cruel enemies, and live as long as possible. Are you willing to take part in Slay.one, an exciting indie 2D shooting game? With a couple of interesting Maps and Game Modes, you are free to choose any you like by entering “Rooms” and then tap a button “Create” to pick up your preferred game mode. 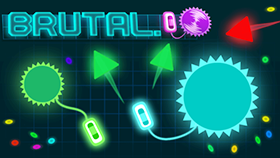 Here are Normal Deathmatch, Capture The Flag, Team Deathmatch, Zombie Co-Op, and more. Once starting, your big mission is to shoot down as many enemies as you can. And weapons are certainly your best friend to help you cause great damage to other players. It’s not hard to collect them at available Pickups that are scattering around the dungeon. Besides, you need to make the most of different pros and cons of each weapon. For example, a Grenade Launcher is powerful than a Laser Gun, and it can shoot over small items better. Or a Rocket Launcher can launch explosive rockets towards the enemies. Or use a Remote-Controlled Launcher to deliver homing missiles following the mouse cursor. What’s more, the Pickups offers armors and med-kit to cover up the HP bar; however, it needs a short time to respawn later. Except for the weapons, equipping necessary abilities is also important. You will start with some basic ones and then unlock new ones by using the earned gold when playing. Each ability needs a certain number of points and once you reach the limit, some of the current abilities will be removed to add other ones. There are two major ones including Active and Passive. To the Active abilities such as Heal Aura, Teleport, Acid Grenade, Scan, and more, you just activate two skills at a time. Meanwhile, the Passive ones offer their effect without turning them on automatically. And you are able to use all of them at the same time, consisting of Strength, Agility, Regeneration, Lifesteal, and Intelligence. Especially, this game also provides a great chance to customize your character’s look with different skins. Choose the one you like, start your own battle and slay other players on your way to become the best shooter! 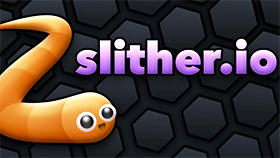 As against Spinz.io, the character in this cute game is directed by WASD buttons while pressing the left mouse is to shoot and right mouse for dodging or jumping. Tap F to aim if using sniper weapons. To utilize the available activities, just hit Q/E and use 0-9 to change the weapons. A Grenade Launcher is powerful than a Laser Gun, and it can shoot over small items better. A Rocket Launcher can launch explosive rockets towards the enemies. A Remote-Controlled Launcher can deliver homing missiles by following the mouse cursor.